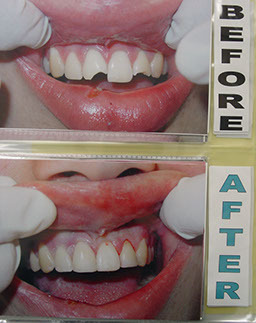 Patient was not happy with a discolored lateral incisor (top right). The tooth was prepped and covered with a veneer. 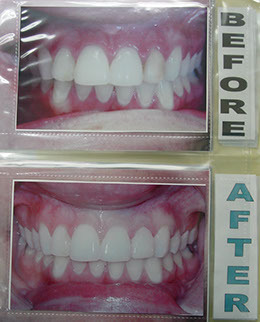 Upper anterior teeth were bonded after bring broken due to trauma. 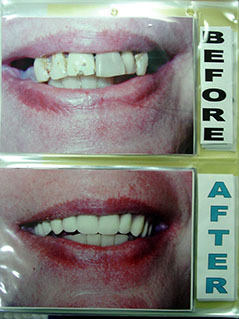 All broken and decayed upper teeth were extracted and replaced with a new full upper denture.